When my friend Jina told me about Meli & Angi, I was absolutely floored. Jina was also kind to remind me that they baked the cookies from her wedding and I immediately remembered the deliciousness. The precise lettering is so amazing. Check out the monogrammed cookies they can make for weddings! Total icing perfection. 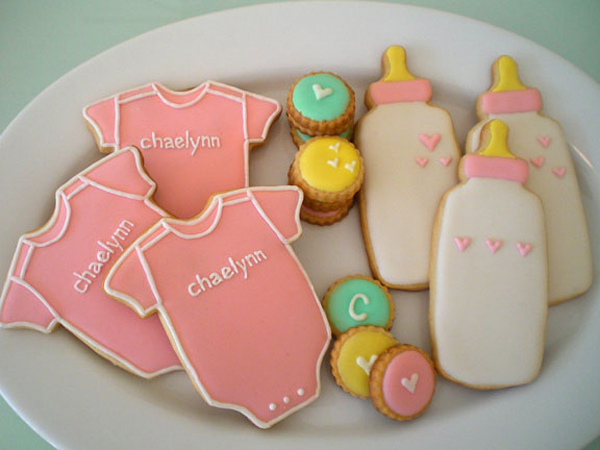 Onesie, Bottle and Button cookies from Meli & Angi. I like the personal touch of the monogramming.